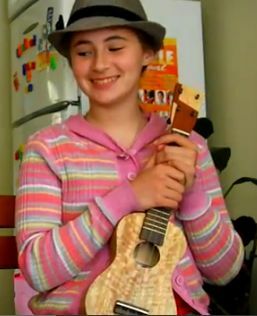 Jemimah’s dad hosts a website dedicated to ukulele playing, take the time to visit by clicking here. He is a very good player and featured on Uke Hunt’s post for this week. View Jemimah and her dad playing ‘When You Wore a Tulip’ in the video below.